Now that you’ve decided studying in Canada is right for you, what’s next? Determine what you’d like to study and where. This Directory of Canadian Universities is a good place to begin. It includes profiles of institutions and listings of their programs. You may want to research individual university websites as well. An easy way to access those is through the Universities Canada website universitystudy.ca, which includes a searchable database of the study programs found in this directory. It is important to find out as much as you can about the institutions you’re considering, and the communities they’re in, to make sure you make the best possible choice. Don’t be afraid to contact officials who deal with international students at the universities you’re interested in and to ask them questions. Also, make sure you give yourself plenty of time to apply and to get a study permit (see below). In Canada, each university has its own entrance requirements and will assess you on an individual basis. However, graduation from a secondary school and good academic standing are typically the minimum requirements for undergraduate study. You may need to supply official documents, such as transcripts from secondary or postsecondary school. It may be necessary to have those documents assessed and translated into English or French. Consult your country’s educational authorities or the Canadian Information Centre for International Credentials (cicic.ca) for more information on degree recognition. Do you meet the language requirements? International students in Canada must demonstrate proficiency in either English or French, depending on the university they apply to. Many English-language universities require that you attain a minimum score on a standardized language test. French-language universities usually assess applicants on a case-by-case basis. 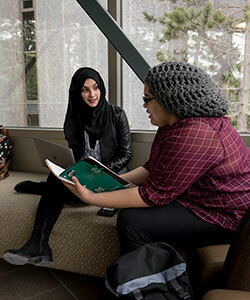 If your language skills are insufficient, there is a host of Canadian programs you can enroll in before applying to a university in the country, offered by universities, colleges and private institutions. For more information, go to the Languages Canada website (languagescanada.ca). What is the application process to study in Canada? Application processes vary by province. In some provinces, students can apply through a central application service. In others, you must apply directly to the university. You may also want to apply to more than one program or university in case you aren’t admitted to your first choice. Deadlines vary, but generally, you should apply at least eight to twelve months in advance. Typical entry points for international students are the September and January semesters. However, many universities have a “rolling admissions” procedure to consider international students throughout the year. Once you’ve received a letter of acceptance from a Canadian university, you must apply for a study permit if you intend to study in Canada for six months or longer. You must apply for the permit before you come to Canada. You can apply online or submit a paper application to the Canadian visa office responsible for your country. Details about study permits for international students can be found on the website of Citizenship and Immigration Canada. To study in Quebec, you must also obtain a Certificate of Acceptance of Quebec (CAQ) from that province. You can find further information online (immigration-quebec.gouv.qc.ca/en/immigrate-settle/students). To obtain a study permit, you must prove you have enough money to pay your tuition fees, living expenses for yourself and family members who come to Canada with you, and return transportation for you and any family members who come. In some cases, you will also need to pass a medical examination that proves you are in good health. To study in Canada, you must be law-abiding, have no criminal record and not be a risk to Canadian security. You may have to provide a police certificate. You also need to prove to the visa officer that your primary reason for coming to Canada is to attend university, and that you will leave Canada at the end of your studies. Since 2014, newly arrived full-time international students with valid study permits have been allowed to work in Canada without a work permit. They can work on-campus for an unlimited number of hours and, if their program lasts at least six months, they can work off-campus up to 20 hours per week while school is in progress, and full-time during study breaks. International students who wish to work while studying must obtain a Social Insurance Number (SIN) from Service Canada. They can work as soon as they have their SIN. 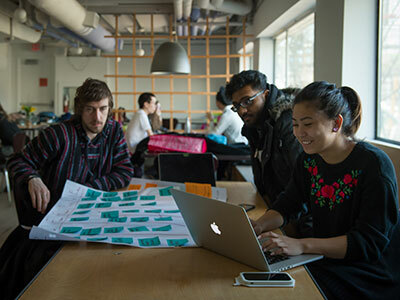 International students in Canada are also allowed to work as part of a co-op or internship program as long as the work is part of their educational program. Students in these programs will require a work permit in addition to their study permit. The Post-Graduation Work Permit Program (PGWPP) allows international students who have graduated from a program of at least eight months’ duration at a Canadian university to get work experience in the country. This permit allows students to work for the same period of time that their university program lasted, up to a maximum three years. If certain criteria are met, a student’s spouse may be able to obtain an Open Spousal Work Permit. Canadian experience as a skilled worker through the PGWPP helps graduates qualify for permanent residence in Canada through a process called Express Entry, the system through which most immigrants obtain permanent residence in the country. And under new rules introduced in November 2016, getting a degree in Canada also makes it easier to gain permanent residence. With permanent resident status, you get most of the social benefits, including health-care coverage, that Canadian citizens receive. Permanent residents can subsequently apply for Canadian citizenship after having lived in Canada for a predetermined number of years.